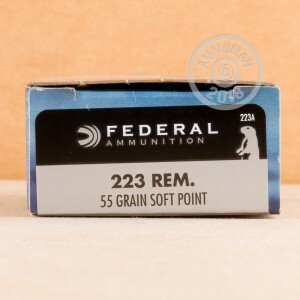 An ideal load for small to medium game, this .223 Rem round from Federal is proven to perform, even in the harshest conditions. 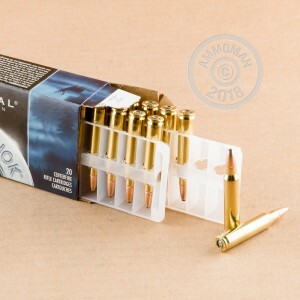 This high quality Federal ammo provides excellent accuracy and reliability at an affordable cost. The Power-Shok line is the load for your next day hunting. 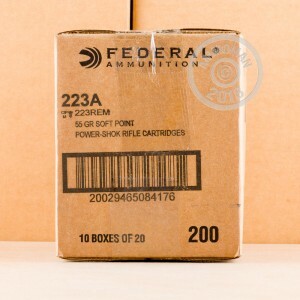 Federal's ammunition is produced in Independance, Missouri at the Lake City Army Ammunition Plant to exact specifications. Lake City is the largest manufacturer of munitions for the US armed forces. Each round is brass cased, reloadable, boxer-primed, and non-corrosive. Pick up a few boxes today to qualify for free shipping on all orders over $99!